Staring: Diane Keaton, John Goodman, Ed Helms, Alex Borstein, Amanda Seyfried, Alan Arkin, and more. Ah November, with November comes T̶h̶a̶n̶k̶s̶g̶i̶v̶i̶n̶g̶ Christmas! Really though, many people get in the mood for Christmas when November comes, the cheery feelings, the shopping, the family gatherings, but most importantly; the Christmas movies. Christmas movies are, for most families, a staple to watch at least one or ninety while partaking in traditional celebrations through the days leading up to Christmas. Movies like ‘Elf’, ‘A Christmas Story’, ‘The Polar Express’, and so many more. 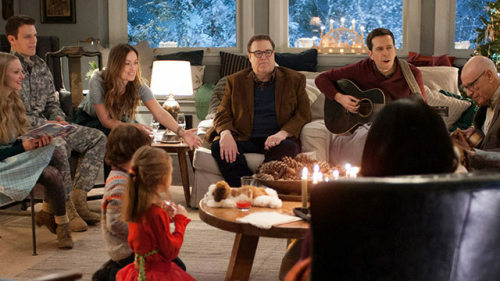 Now comes yet another holiday film for audiences of all ages to enjoy, ‘Love the Coopers’. 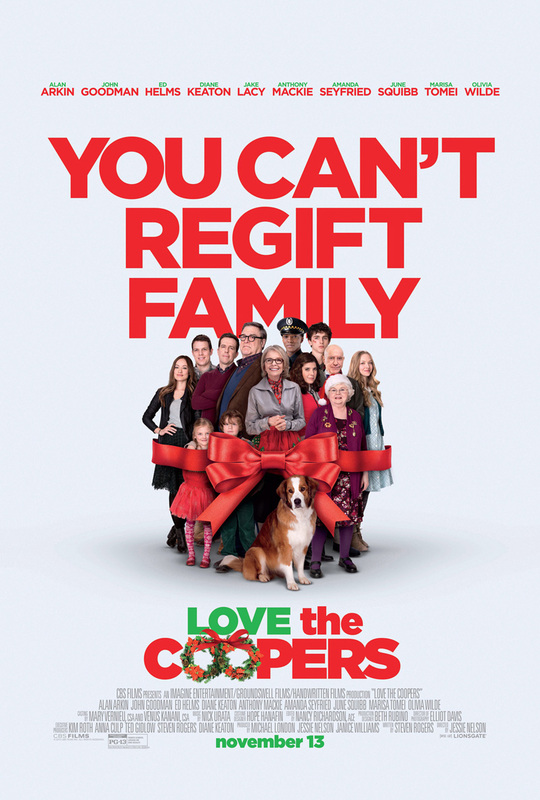 ‘Love the Coopers’ follows the family of Charlotte (Diane Keaton) and Sam (John Goodman) Cooper as they prepare for their Christmas Eve dinner with their family. With family on the way, the plot comes in the means of many hilarious and unlikely events occurring, making each member of the family run into delays trying to attend the dinner while also presenting the audience with funny back stories as to why they love or hate Christmas. As I said before, ‘Love the Coopers’ is a Christmas movie. No one is expecting Oscars, no one is expecting earth shattering performances, people are expecting a Christmas movie. They are expecting a feel-good movie with laughs and sentiment for every member of the family to enjoy while taking a seat in a warm fireplace lit living room after Christmas dinner. I personally was laughing at almost every member of the Cooper family in their respective parts as they all brought a certain fun and enjoyable element to the movie. I recommend families looking for a weekend film to enjoy or even date night couples to check this out. Nothing special or epic, just a fun holiday comedy fit for all audiences.